We welcomed 628 people to our three Easter Services, including eight new families who attended Eureka UMC for the very first time! We also collected nearly $4500.00 through our special Easter Offering! Half of that will go towards the World Service Fund which funds dozens of worldwide ministries of the UMC. The other half will go towards our new partnership with Eureka Elementary School. Thank you for your generosity towards these two amazing ministries! 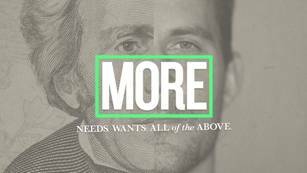 Join us on Sunday, April 15th as we continue our current sermon series, "MORE". 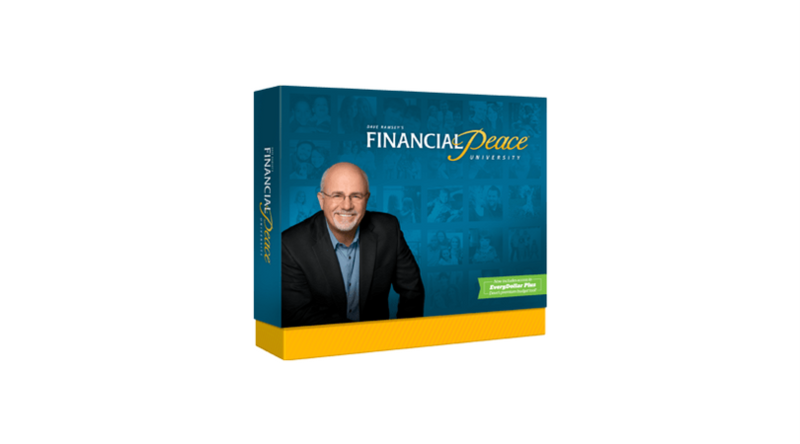 This series explores the simple teachings of John Wesley regarding money, "earn more, save more, and giv e more". This Sunday we will consider what it means to save more and how we can break the power of greed by saving and sharing MORE. Our text will be from Luke 12:15-21. Weird Stuff in the Bible! 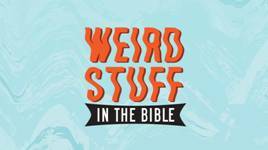 This compelling series will explore four unique...actually weird stories found in the Bible and consider how this 'weird stuff' applies to our lives today as we seek to grow deeper in our faith and relationship with God. May 6, "Where Did You Lose It?" May 27, "Sun Stands Still"
One of the most important ways you can support EUMC right now is to circle the work of the Vision Team in prayer. Our first challenge is determining how we will grow spiritual disciples intent on continuing to strengthen their relationship with Christ. 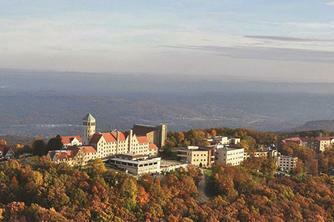 We desire to honor the past while stepping into the future and not leaving a single soul behind. We desire to SEND disciples into the community, not simply collect disciples. We are clear on our mission of making disciples for the transformation of the world, but we need God's direction on HOW to do this well. Haven't you desired the knowledge it takes to be a better disciple? This is what the vision team will be grappling with over the next few months and we're asking you to saturate our work in some intentional corporate prayer. The purpose of prayer is to get into God's presence so HE can outline His VISION for us. How? By setting aside a few minutes each day for 40 days April 2-May 12. Contact westburycathy@gmail.com or 314 749 3874 if you'd like to receive weekly prayer/praise requests re: vision team over the next 40 days. Classes will meet Sunday morning @ 11 am in 7th grade classroom, beginning April 8th for a 9 week course. More information and sign up on our website at eurekaumc.org or contact David Babb through the Connections Desk Sunday morning. You can still sign up! NEW LIFE GROUP FOR 20S & 30S! The group will meet every other week in room 207 beginning April 15th for 6 weeks. You can RSVP Here!